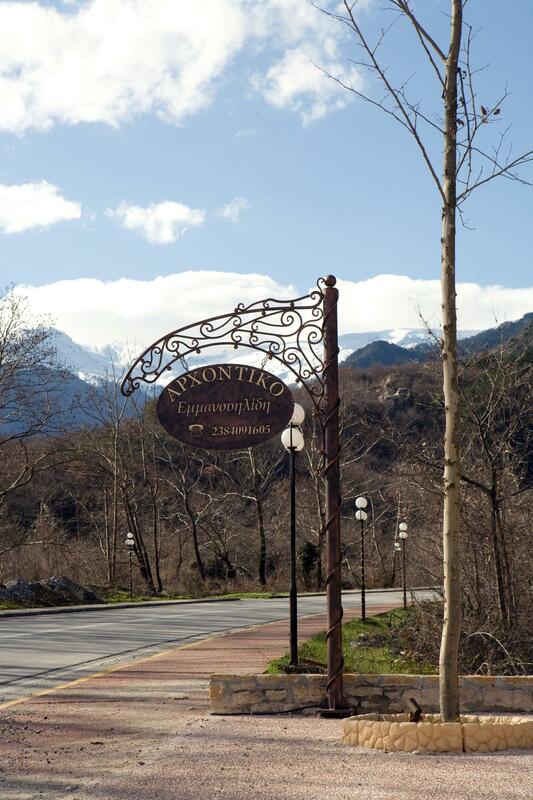 Inside a green landscape in Loutraki or Pozar, where dense vegetation meets the gurgling water of rivers and the rustle of the leaves meet with the sweet chirping of birds, is the Archontiko Emmanouilidi. 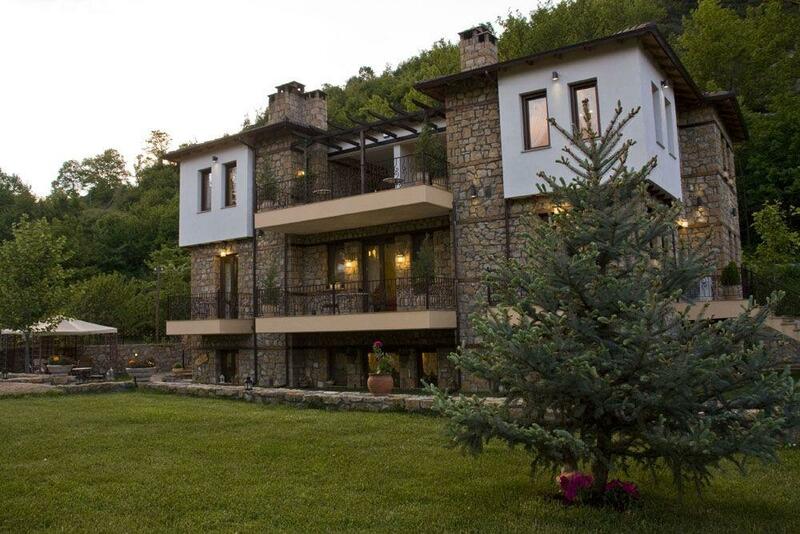 Just 750 meters from the uniquePozar, built with much love and respect for the environment, following the architecture of Makedonian Guesthouses, offers the visitor endless moments of peace and relaxation close to nature. 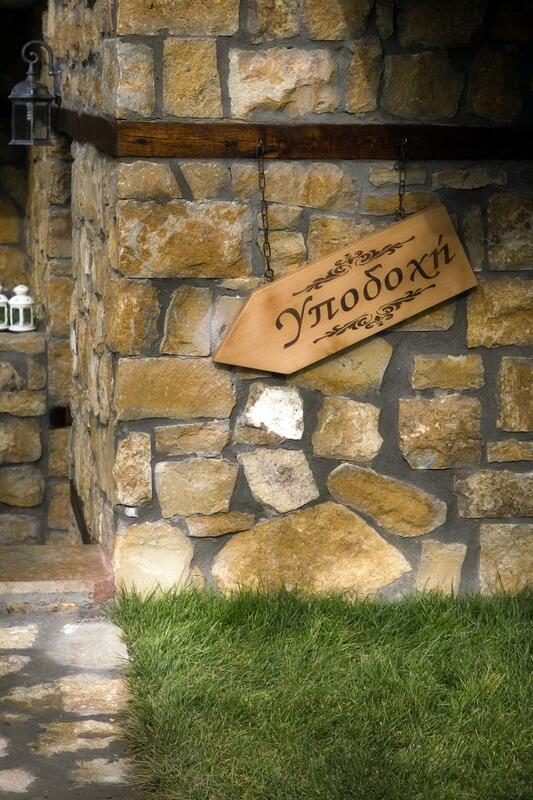 Archontiko Emmanouilidis consists of 5 two-room suites, built with natural materials such as chestnut wood and stone. 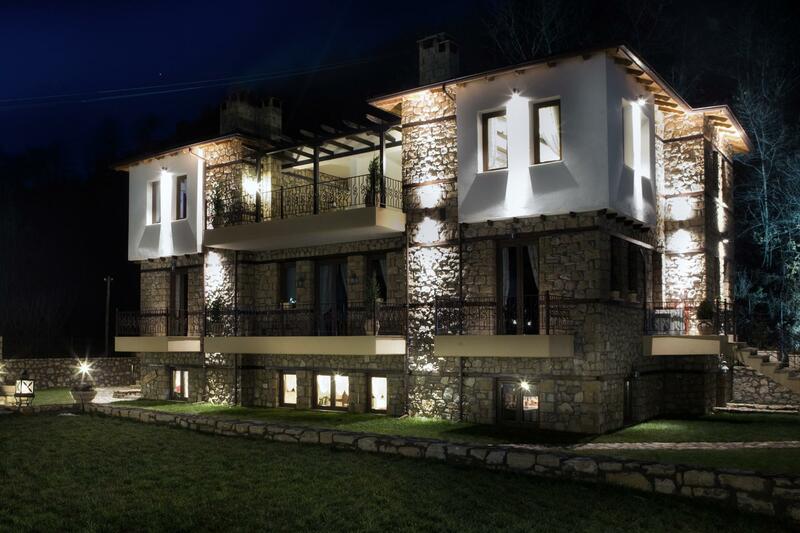 Each Suite has its own character, a separate bedroom, bathroom, living room with fireplace, fully equipped kitchen, central heating, air conditioning, balcony with magnificent views and private entrance. It can accommodate 2 adults and 2 children. 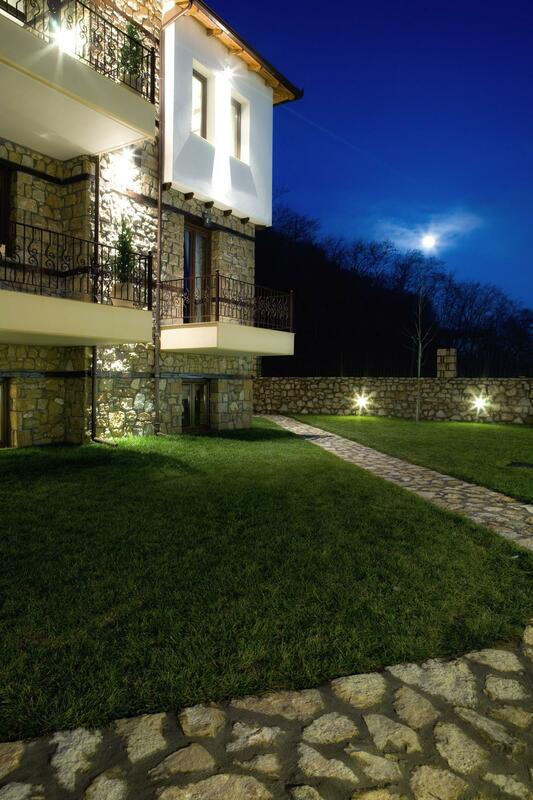 The elegant decoration and handmade carpets and furniture promise to satisfy even the most demanding guests.